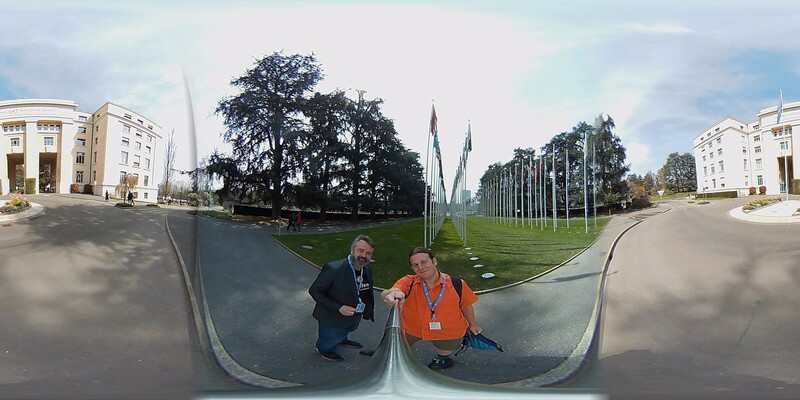 This past week Pirate representatives Alex Kohler and Pat Mächler visited the World Intellectual Property Organization (WIPO) at the United Nations Office At Geneva (UNOG). PPI has an amazing opportunity as a recognized member of the UN Economic and Social Affairs Committee (ECOSOC) to host and attend UN events in NY, Geneva, and around the world. We are working to make a difference by sending representatives to events who will voice our opinions and network with policy makers. Pirates are a global phenomenon and making a difference on a global scale. Pat and Alex graciously volunteered to travel long distance to Geneva and serve as representatives of our organization at events. They attended the Standing Committee on Copyright and Related Rights, including an event concerning WIPO’s work program on copyright limitations and exceptions. We were happy about the presentation and that almost all attendees in the room saw a need in global global normative work on exceptions and limitations in copyright. There is a need for global normative work on #Exceptions & #Limitations in #Copyright. While this was a purely informal vote among the attendees of this session and will not necessarily contribute to improvements in international copyright legislation, as these attendees are not representative of the decision makers at WIPO. In fact we later realized that e.g. the EU is actively opposing work on exceptions and limitations in copyright (albeit the fact, that this is a common feature in the copyright legislation of its members). Connections were made with a number of people who share similar values with the Pirates, such as representatives from universities and libraries who presented at the session, as well as representatives of Knowledge Economy International (KEI) who reported about how PPI was declined observer membership at WIPO in the past. Pirates cannot be stopped so easily, and we are not giving up on the fight for free information! 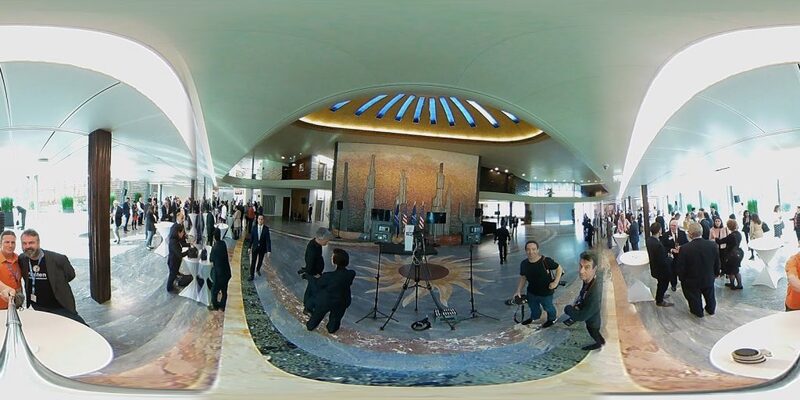 Ongoing work continues on the WIPO Broadcasting Treaty. For about the past 20 years this treaty has been discussed at WIPO. Originally it was merely intended to protect TV and radio stations from pirate signals. Since then however the treaty has developed in a highly questionable direction for internet regulation. It has been criticized by organizations such as the Electronic Frontier Foundation, as there are suggestions that broadcasters should get related rights for every broadcast (while intentionally leaving out pure Internet broadcasters). 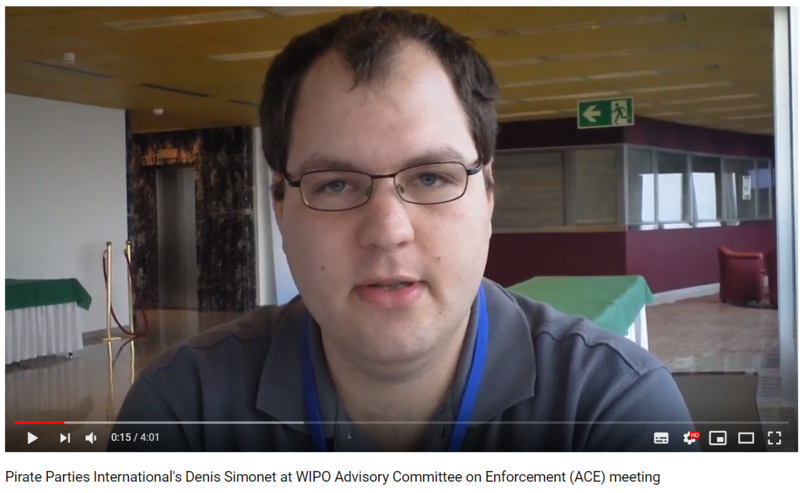 The broadcasting treaty is still a work in progress, and the discussion is only open for WIPO members. PPI is still unfortunately not a member of WIPO, event though PPI is an ECOSOC observer member at the UN. Hence, we will continue to work toward gaining member access to this important organizational body. At the end we were able to get an invitation to attend the ceremony of the ratification of the Marrakesh VIP Treaty by the US as the 50th member. This WIPO treaty is facilitating the access of copyrighted works for visually impaired persons, and this ratification process thus marks a milestone for a more humane copyright on an international level! We are seeking more Pirates who would like to organize and attend UN events. Are you in Geneva, New York, or definitely will go there for a specific event? Let us know! Right now there are opportunities for us to set up exhibitions and side events, but we lack the manpower and funds to make that happen. So we need every helping hand we can get! Let’s make a statement to the world that the Pirates are here to stop enforcement of copyrights and other injustices that we care deeply about. We make statements for every UN event we are invited, and as Pirates we even show up for the events where we were not invited! “Education, training, life-long learning and capacity-building”. Substantive Input for the 10th Session of the Open-ended Working Group on Ageing. “Addressing inequalities and challenges to social inclusion through fiscal, wage and social protection policies”. World Summit for Social Development and the twenty-fourth special session of the General Assembly. UN CSOcD47. Incredible thanks to our volunteers who make these trips at their own expense. Our movement is dependent on dedicated Pirate volunteers, without whom we are nothing. At a minimum, please join us by sharing our work at the UN. -This post was written in collaboration with Pat Maechler and Alexander Kohler.